Spektrum Dx18 Led Flashing Blue??? Discussion in 'Spektrum Radios' started by iggy, Apr 1, 2015. Does somebody use the DX18 V1? I have bought a used one in realy good condition. The TX is working for shure. Battery seems to be fine. I spent hours and hours on it without charging the pack. Today I wanted to charge it at 7.4V (50%)and it was charging for a few minutes (LED was constantly blue like it should be). But then it started to flash blue.. It seems not to charge the lipo. There is nothing in the manual about this issue. I tried it several times but its always flashing blue now. I would try to recharge using normal charger not one built in the radio. Thanks man. But if its taking just little sipps while flashing blue.. Then it should be nearly full but its on 50%..
On my DX9 it was constantly blue till it turned off and the pack was full. Check you have the correct battery type and capacity set in your radio, if it allows capacity that is I can't remember. If the battery settings are correct then I would start to suspect the battery or its charge control circuit. There is a good chance when the batt gets a few years old the IR of the batt rises, this has a knock on effect of raising the terminal voltage of the batt. If this happens and the charger is looking at terminal voltage the charging circuit will switch off the charger thinking it has fully charged the batt. After switching the radio on for a short period the battery would quickly deplete showing less capacity than full charge. Might be time for a new batt, I also presume your using a power supply that comes with the set and not a standard radio charger, spectrums have a universal power supply these days not a wall wart charger. Thanks man. I also think that its up to the pack itself. Therefore I will order a new one. Its 40 bucks so.. But Im a bit disappointed by HH Germany. No answer within one week. Problem solved. I want to let you know the solution. It was up to the wall wart. We measured the voltage. It wasnt constant anymore. It gave 13-14 volts up and down all the time thats why the LED was flashing blue and charged only to 7.5V very slow. 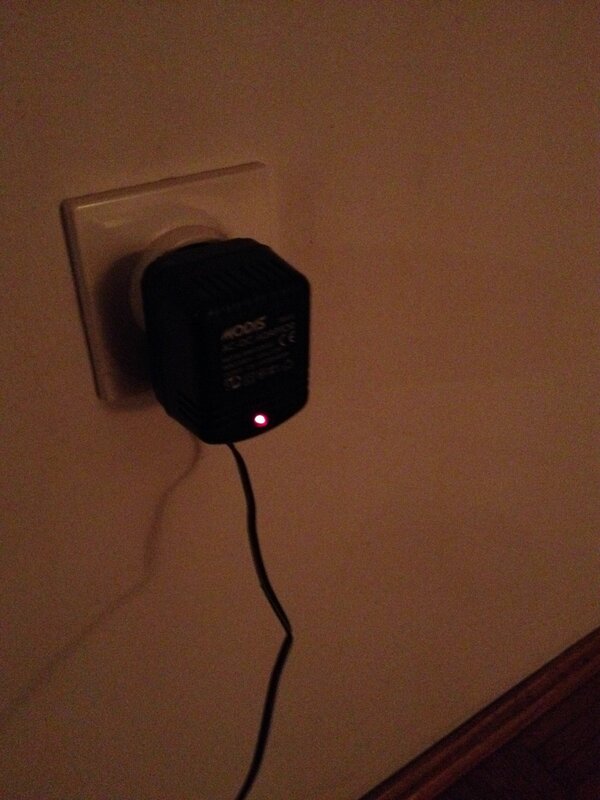 Soldered the original Jack to a 12V 0.5 amps wall wart and thats it. I almost ordered a new lipo for my DX18. Almost! iggy, well you’re absolutely correct. I was reading this thread and I was thinking to myself, how could this be? The only possible explanation I had in mind was that you’re charger has betrayed you. Anyways, since your charger wasn’t being supplied a constant voltage, the voltage regulator wasn’t able to function properly. These issues can be avoided while designing the charger by adding an extra layer of noise filtration but well, you solved it anyhow so I guess we’re good. The only possible explanation I had in mind was that you’re charger has betrayed you.